Includes free admission and a complimentary drink. Thursday Network would be nothing without its members! To formally end Join Week, please join us for Member Appreciation Day as we thank you for your continued service to TN and GWUL. Since Membership Appreciation Day falls on Super Bowl Sunday, what better way to celebrate members than with a Super Bowl Party! 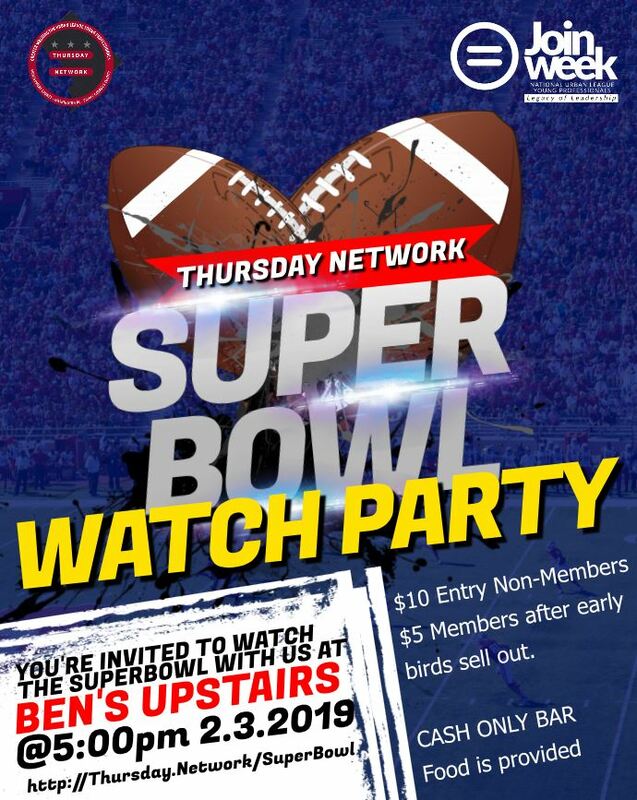 Join us at Ben’s Upstairs to rep your team and see the big game with other members. There will be a cash bar and light finger foods and giveaways! TN Member early registration will include free admission. Slots are limited so sign up early! TN Member late registration will be a $5 registration fee. General public registration will be $10.